I picked up my Honda CX 500 today and drove it 15 miles or so, where I dropped it off to get a new tire. At first Wife was ahead of me in the truck. I like to give plenty of distance between me and the next car under the best of circumstances, and even more on a windy day on a motorcycle. For some reason, Wife wasn't going above about 40-45. I'm thinking "Go....GO!!!" but I'm not comfortable passing. Finally she pulled over, and rolled down the window to ask if I was OK. I was puzzled, she said "Because you're going so slow! You kept getting way behind, so I'd slow down to let you catch up" We decided it would be better if she followed me instead. I also got the front brake on the Yamaha working, and after changing plugs, got it to start and kind of run with gasoline instead of starter fluid. It wouldn't idle, but I could keep it running with throttle, and it ran enough that I'm more confident that it isn't going to need major work to get going. "Not major" is a matter of perspective--it needs all four carburetors cleaned, rebuilt and synchronized, and probably needs the valves adjusted which involves replacing shims plus lots of little things. It isn't likely to need a complete engine rebuild, however. The Honda is just a touch small for me. I think I can make some adjustments to make it fit better--adjust the handlebars forward, and do something with the shifter position. Sitting on the Yamaha feels nicer. Before I even saw the ad for the Seca, I was trying to arrange a meeting to ride a Honda CX 500. Although I'd never actually rode one, the looks and basic concepts appealed to me--shaft drive, water cooled, pushrod 4 valve. Between weather and schedules I didn't get to ride the bike until today. It was still raining today and got worse the closer I got to the bike, but I decided to give it a shot anyway. This one isn't as nice as the Seca cosmetically, but everything works. Needs a new back tire, could use a seat and a side cover but basically sound. So from zero to two motorcycles in two days, without going over budget. I hadn't really intended to buy a project bike before I got an actual running bike, but this one was too cheap to pass up. 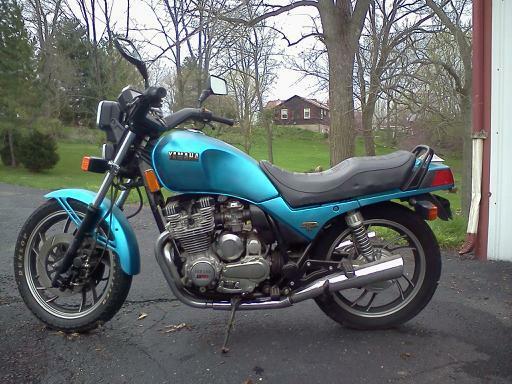 1982 Yamaha 750 Seca. Shaft drive, sold as-is, but owner said it ran fine when he put it in the barn 2 years ago, and it started last year. Did not attempt to start it, but did make sure it wasn't locked up. I didn't examine it closely, just enough to find a value estimate significantly exceeding the purchase price. I suspect that I could flip it with nothing more than a better ad and double my investment. I almost bypassed the ad--There was no picture, I didn't remember what a Seca was and envisioned a crotch rocket. Styling is a bit distinctively 80's especially in the handlebars, dash and headlights. Still better than a pseudo-Harley. I'm still looking for a running starter bike while I get this running. 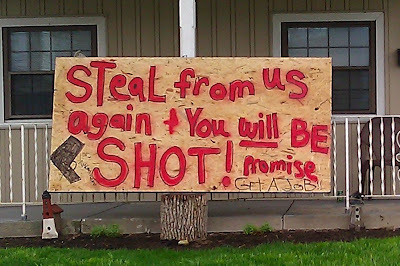 Spotted while walking the dogs home--"Steal from us Again & You will BE SHOT! 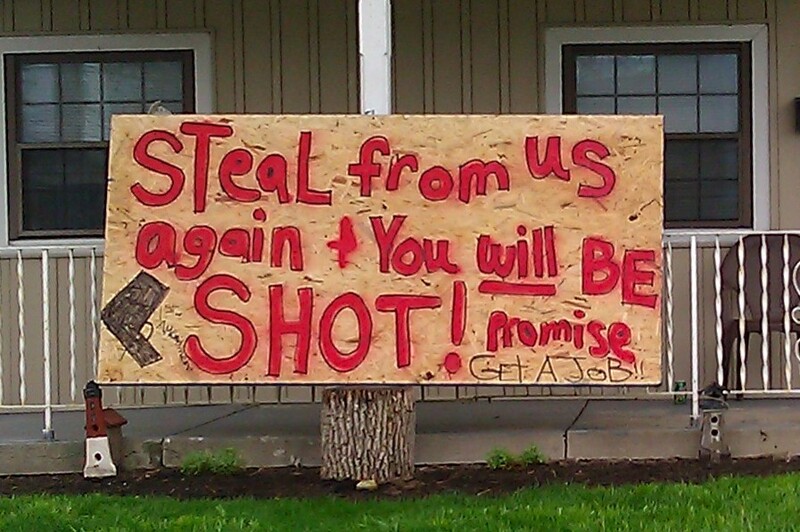 Promise" in red, then magic marker "1st amendment" and "Get A Job!!" on a fancy full sheet of chipboard. I'm glad that they aren't second amendment supporters, I don't particularly want them on my side. Last week, I took the Motorcycle Safety Course Monday through Thursday, and I got my motorcycle license on Friday. The course is 20 hours with the majority of it riding. In Ohio it is subsidized by motorcycle license fees, and only costs students $25. The school provides classroom materials, helmets (but you can use your own) and motorcycles. Students must wear long pants, long sleeves, gloves and over the ankle shoes. The facility I went to is sponsored by Honda, at a Honda warehouse, using Honda motorcycles. Most people got small dual sport bikes (motocross-style, but street legal with street tires) while smaller people got Rebels. The class starts from the very basics, assuming only that you can balance a bicycle. The first exercise is merely rocking the bike forward and back using the clutch. Later it advances to weaves, swerves and quick stops. The class is absolutely worth the time and money, and especially when most of the cost is subsidized. I'm now motorcycle shopping, trying to figure out what I can get within budget. I would prefer a Standard or Universal Japanese Motorcycle, would settle for a cruiser (as long as it isn't a fake Harley) and don't want a crotch rocket or dirt bike. Based on looks alone, the Kawasaki W650 comes really close to perfection, but few were imported to the US, so not much chance of finding one within budget. I don't want a fixer-upper yet, although I'll consider that later. The first 2 bikes I looked at had bad front brakes--probably a simple problem to fix, but one of them was bad enough that I was not willing to ride it--especially since the seller had talked about the work he'd done, including that brake. The third was a 440 LTD--ample power, but way too small physically. 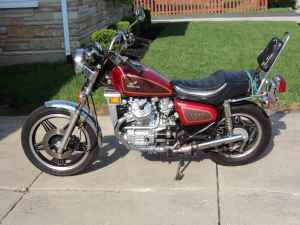 The fourth is a possibility, a 1978 Kawasaki KZ 750 twin. Big enough, simple, and mechanically decent from what I could tell, and well within budget. I don't want to buy the first adequate bike I find without trying something else. 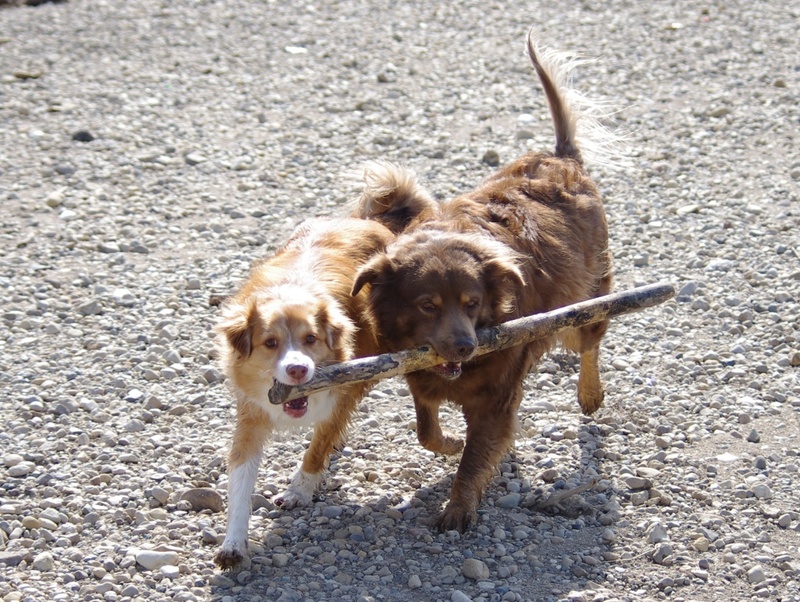 Fairly typical walk with the dogs. 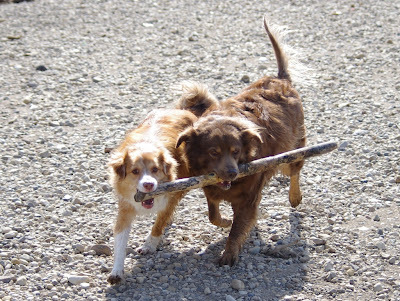 Bella loves sticks, Angie loves to be involved with whatever Bella is doing.